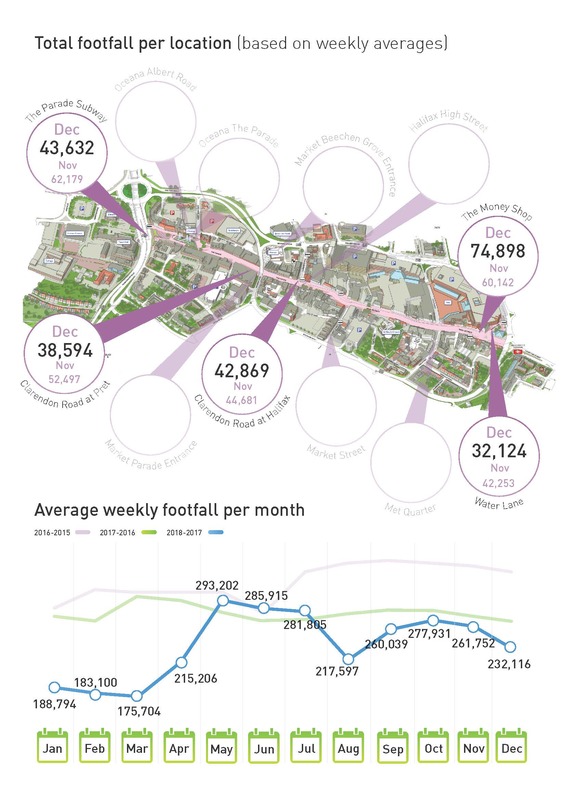 Please note: From April 2018 the number of cameras tracking footfall were reduced from 30 to 5. There are 2 cameras currently affected by ongoing roadworks. 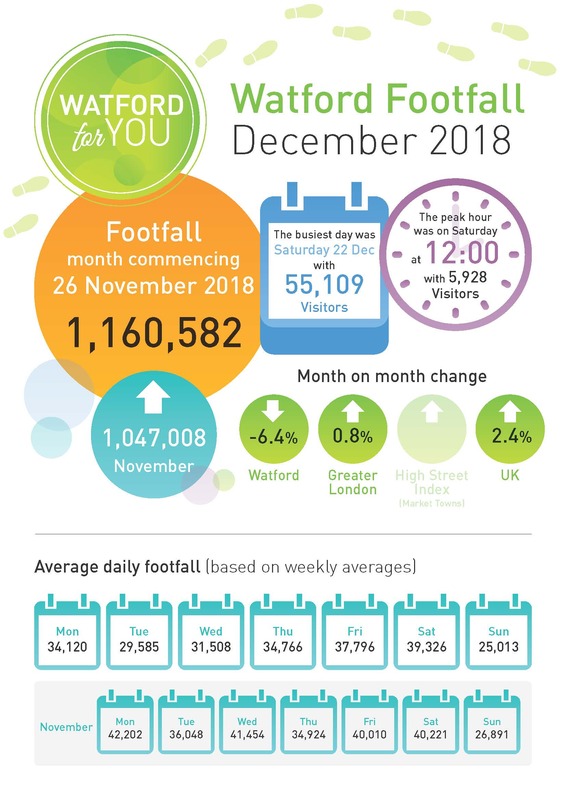 Springboard on behalf of Watford BID and Watford Borough Council counts footfall numbers at set locations across the town centre, reporting on the volume every hour. We analyse the information and deliver insights integral to understanding the performance of the site. Springboard counting data has been confirmed to be 98% accurate by a third party auditor. In addition, our data team check every line of data each day to verify the accuracy of the data before it is uploaded to the system.